Today's (Wendesday) pick is EMF (Electromagnet Fields). EMF - Electro Magnetic Field: In it's natural form it is the natural electric field (sometimes thought of an an aurora) that is generated by all living things and many inanimate objects such as metals and certain minerals. EMF is also generated by man-made electric sources such as lights, radios and wires. In paranormal investigations the theory is that entities are largely composed of energy which may be electrically based. By trying to detect EMF it may be possible to locate an otherwise unseen entity. The stronger the EMF detected the potential greater the paranormal phenomena. See our article on EMF Theory. Thursday's Bingo Pick is Dust Orbs. In photography, an orb is a typically circular artifact on an image, created as a result of flash photography illuminating a mote of dust or other particle. Orbs are especially common with modern compact and ultra-compact digital cameras. Orbs are also sometimes called backscatter, orb backscatter, or near-camera reflection. Some orbs appear with trails indicating motion. Orbs are captured during low-light instances where the camera's flash is used. Cases include night or underwater photography, or where a bright light source is near the camera. Light appears much brighter very near the source due to the inverse-square law, which says light intensity is inversely proportional to the square of the distance from the source. The image artifacts usually appear as either white or semi-transparent circles, though may also occur with whole or partial color spectra, purple fringing or other chromatic aberration. With rain droplets, an image may capture light passing through the droplet creating a small rainbow effect. In underwater conditions, particles such as sand or small sea life close to the lens, invisible to the diver, reflect light from the flash causing the orb artifact in the image. A strobe flash, which distances the flash from the lens, eliminates the artifacts.The effect is also seen on infrared video cameras, where superbright infrared LEDs illuminate microscopic particles very close to the lens. A hypothetical underwater instance with two conditions in which orbs are (A) likely or ( unlikely, depending on whether the aspect of particles facing the lens are directly illuminated by the flash, as shown. Elements not shown to scale. An orb in paranormal terms is defined as "an anomalous globe-shaped spot, either white or colored, that shows up in photographs taken at allegedly haunted locations." Also known as 'ghost orbs', 'spirit orbs' and 'angel orbs', orbs first began to be noticed in photographs with the advent of the pocket flash camera in the 1990s. They are usually found in digital still photography when a flash has been used; orbs are not often found in photographs taken in natural light or in film photography. At times they have been seen to move in video footage. Usually orbs are spherical but have occasionally appeared shaped as diamonds, rectangles and smears. They are often claimed as real evidence of spirit presences supposedly representing the essence or soul of a departed person. Believers claim that orbs have appeared on command and may have images and faces visible within them when you zoom in; and that under controlled conditions orbs have been shown not to be reflected light but what is known in physics as "fluoresence". Orbs are frequently cited as evidence of a paranormal manifestation in such tv programs as Ghost Adventures. A number of paranormal investigators have used digital cameras to attempt to catch images of orbs as proof that a location is haunted, claiming that the orbs or "ectos" are spirits or ghosts appearing in the photograph. Eventually so many orb photographs were being produced that the Toronto Ghosts and Hauntings Research Society (GHRS) stopped accepting them as proof of paranormal activity. However, many sceptics and paranormal investigators have accepted that orbs are probably merely natural phenomena such as insects, dust, pollen, or water vapor. Fujifilm states that "There is always a certain amount of dust floating around in the air. You may have noticed this at the movies when you look up at the light coming from the movie projector and notice the bright sparks floating around in the beam. In the same way, there are always dust particles floating around nearby when you take pictures with your camera. When you use the flash, the light from the flash reflects off the dust particles and is sometimes captured in your shot. Of course, dust particles very close to the camera are blurred since they are not in focus, but because they reflect the light more strongly than the more distant main subject of the shot, that reflected light can sometimes be captured by the camera and recorded on the resulting image as round white spots. So these dots are the blurred images of dust particles." Friday's Bingo Pick is Environmental Data. What may seem at first like superfluous information to a paranormal investigation in fact provides a backdrop of data that allows investigators to draw connections between anomalies in their evidence set and conditions in the environment. The types of external environmental conditions that pose potentially significant factors are meteorological (weather), geophysical (earthquake and solar events), and tidal, while the kinds of internal environmental factors of consequence are concerns of electromagnetic fields (EMF), carbon monoxide and natural gas, radiation, barometric pressure and temperature. I've been keeping mine on a spreadsheet lol. Sorry, I was late getting this one posted. The June 17TH pick was: AVP. Today, June 18th pick is Infrared (IR) Illumination. Infrared light is light from the lower end (long wavelength/low frequency) of the electromagnetic spectrum (between the visible light spectrum and microwaves). IR light is not visible to the naked human eye without the use of special equipment. IR is not to be confused with thermal imaging. While IR and thermal energy are both on the short end of the electromagnetic spectrum, they are not the same thing. There is evidence that ghosts/spirits and other paranormal entities may be more susceptible to being viewed (including video and image photography) using the IR light spectrum. IR sensors are also often used for measuring temperature and detecting movement. Yay! Now I have 5! You all are doing great. This designation defines a non-human paranormal being native to the “spirit realm.” This classification consists of demons, nature spirits, elementals, and angels. Most inhumans are formidable and are considered animalistic and threatening. 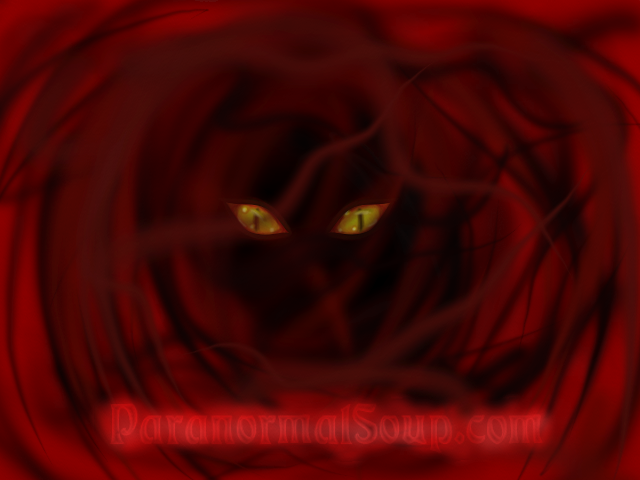 Though skeptical paranormal researchers like to keep an open mind in regards to reports of an “inhuman haunting,” The classification is chiefly the concern of Demonologists and is regularly linked with religious philosophies. Tuesday's Bingo pick is Case Files. Here's Wednesday's pick Cold Spot. COLD SPOT: A small, defined area of intense cold (at least 10 degrees colder than the surrounding area) that can not readily be explained by other natural or mechanical causes (e.g. air conditioning, a drafty window, ice or snow). In paranormal research the prevailing theory is that when an entity is trying to manifest itself it draws on many sources of energy. One of those sources is the heat energy in the air. As the entity draws the heat out of the air the area in that specific immediate location becomes unusually cold. An environmental anomaly marked by a sudden and focused drop in temperature is commonly referred to as a “cold spot,” but warm spots are also recorded. 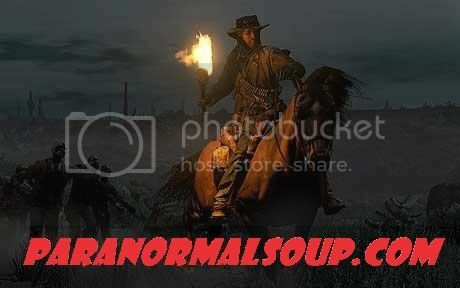 Paranormal enthusiasts theorize that “spirits” draw energy from the environment in order to manifest themselves, and that a drop in temperature is the “footprint” of a spirit trying to manifest. Consequently, investigators use thermocouples (thermometers) and thermal images to track the movement and, in some cases, the shape of these thermal anomalies in hopes that they are monitoring an entity. Vlawde, Cool you're more than halfway there. Thursday's Bingo pick is Footsteps. A universal feature of many a ghost tale, disembodied footsteps are frequently included in reports of paranormal activity: a regular pattern of footfalls, often in another room or on a staircase, that sometimes causes witnesses to imagine intruders are in their homes. Footsteps and other anomalous sounds such as Knocks and Taps rally skeptics who call into question the physics of such phenomena and blame matrixing as the common culprit. (See "Pareidolia.") Defenders of footsteps as a well and true paranormal phenomenon conjecture that it is an imprint of a residual haunting, or even that it is an indication of parallel dimensions.